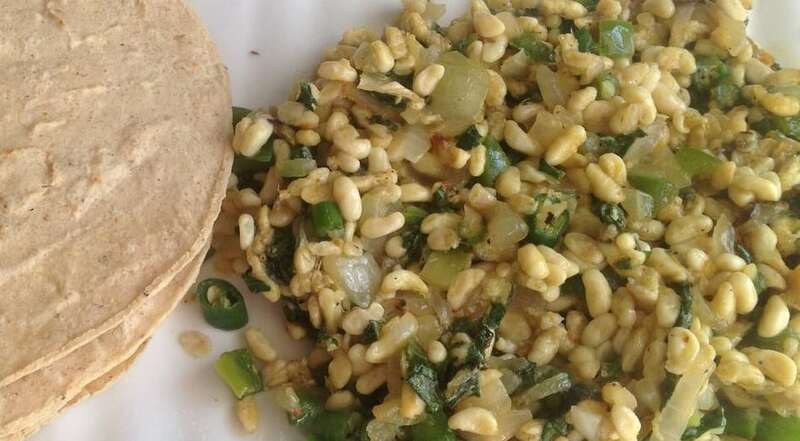 Eaten in Mexico, escamoles, or ant larvae is a dish native to Central Mexico, once considered a delicacy by the Aztecs. The light-colored eggs, harvested from maguey plants, resemble white-corn kernels or pine nuts; they have a poppy texture (crunchy, if fried) and a slightly nutty taste. Often pan-fried with butter and spices, escamoles can be found in tacos and omelets or served alone, accompanied by guacamole and tortillas.